Movie Making, A Jewish Trade? Philip French’s The Movie Moguls and Nolan Zierold’s The Moguls give good overviews and collective/comparative portraits of the small group of top-level Jewish-born entrepreneurs who fashioned the [Hollywood] dream factories, Marcus Loew, Adolph Zukor, Sam Goldwyn, Carl Laemmle, the Selznicks, Jesse Lasky, William Fox, the Warner Brothers, Louis B. Mayer, B. P. Schulberg and Harry Cohn. Having either been born in America or come from Europe in their childhood or youth, most of the moguls could be classified as second-generation American Jews, from poor or modest-income families. They were exceptionally industrious and ambitious, and, interestingly, quite a few came to the motion picture industry from various retail trades, particularly the garment industry. Zukor and Loew, for example, began as furriers, Fox and Laemmle as clothing merchants, Goldwyn as a glove salesman. Control was enterprisingly gained over theaters and, later, over studios, linking distribution and production. The creation of the two industries was not utterly dissimilar. Both in clothing and motion pictures Jewish entrepreneurs, starting from a mass distribution base, created mass production industries for garments and entertainment. With daring and finesse, they organized innumerable individual skills (of sewing or photographing) for the vast market of voiceless consumers. The moguls, thus, brought to Hollywood certain business skills acquired in related retail trades and, by the 1930s, six of the eight major studios were Jewishly controlled and managed. In addition, persons of Jewish birth were prominent among the second and third level of business-oriented producers, managers, assistants, agents and lawyers. How Jewish Was Jewish Hollywood? He finds it convenient to forget his Jewishness in the high-class world into which he has vaulted. He is thus eager. to prove his Jewishness secretly by donations to Jews in distress. He will support a synagogue with large gifts for thirty years without ever entering it. The closest he comes to this secret Judaism to which he stubbornly lays claim is observing a few religious principles, such as not going to the races on Jewish holidays, or arranging for a rabbi to officiate (in English) at his funeral. 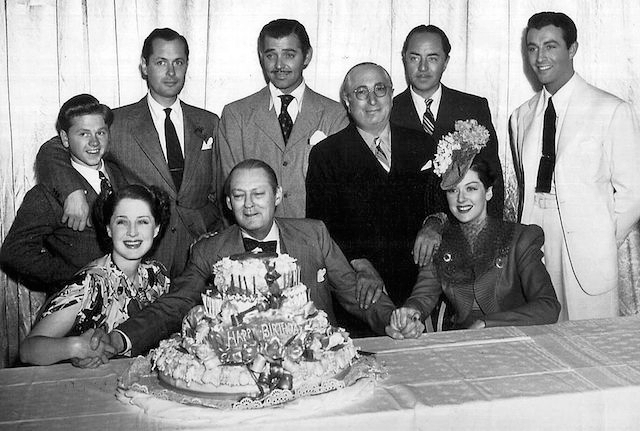 While not very culturally Jewish, Jewish Hollywood was somewhat socially separate in structure, making up its own social circle (or circles, of various levels and roles in the pecking order) of Jewish friends and associates for job nepotism, art collecting, the country club, golf, gambling and even intra-colony marriage (such as that of Louis B. Mayer’s daughter to David Selznick). If Jewish Hollywood had little explicit Judaism or Jewishness to contribute to those foundation years of sound films, what, then, was its motive power? Both Zierold and French more or less detect that there was something about its “immigrant-ness” that lay behind the achievements, strengths, and shortcomings. First, their desire as immigrants or near-immigrants to be fully accepted as culturally assimilated “Americans,” “one hundred per cent Americans,” lent them an enthusiasm for the transmission, idealization, and creation of American popular culture. Through their movies, they presented to the world their own selective perception of aspects of American values and virtues. Second, it has frequently been contended that, as immigrants becoming Americans, they had a special sense of, or “instinct” for, what the movie-goer wanted and liked, which was usually what they, as typical or, at least aspirant, mass Americans, wanted and liked. Cohn, for example, once ordered a three-syllable word to be taken out of a script because, “If I don’t know what it means, the average guy in a movie theater sure as hell won’t.” And he had a “foolproof” method to determine the quality of a film: “If my fanny squirms, it’s bad. If my fanny doesn’t squirm, it’s good. It’s as simple as that.” Goldwyn’s stomach was his guide. In retrospect, it appears that their intuitive judgments were correct more often than not. This immigrant enthusiasm for American popular culture, and this understanding of mass American tastes, took different shapes and forms at the different “Jewish studios.” While M-G-M, for instance, under Mayer, turned out pictures that have been described as folksy, romantic, sentimental, glossy, “feminine” films for the middle class, the Warner Brothers, under Jack Lo Warner, produced “less ladylike” crime stories, melodramas, biographies, and “social conscience” films for and about the working class. Both sets of films were variations on themes of American popular culture, as seen through historical immigrants’ lenses. Reprinted with permission from Judaism: A Quarterly Journal of Jewish Life and Thought.